Coach Mosely is the current Head Coach of the North Greenville Crusaders. In the 2015 season Coach Mosely set a record at NGU of 20 wins in a season and earned his 100th collegiate win. He attended Liberty University on an athletic scholarship for football. He earned his degree in Youth Ministry and his BS in Sport Management. He began his coaching carrer in North Carolina at Wayne Christian School where he was the Athletic Director along with coaching soccer and volleyball. He then went to Raleigh North Carolina to become Athletic Director at Neuse Baptist Christian School as well as coaching basketball and volleyball. At Neuse he won a State Championship in basketball as well as three state titles in volleball. In 1997, he became the Athletic Director of Southside Christian School as well as the Basketball and Volleyball head Coach. As Athletic Director he entered the SCS program into high school league and began a football program. As a volleyball coach he won two state titles at SCS and seven region titles. It was during this time when he founded Upstate Volleyball Club. 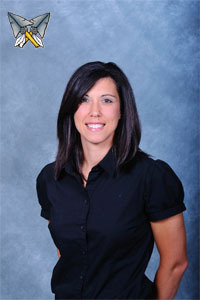 Coach Amber Wiles is the Director of Upstate Volleyball Club and has been coaching volleyball since 2002. She played volleyball at Southside Christian under her father, Coach Mosely. She was the setter on the 2000 State Championship team and received the honor Class A STATE PLAYER OF THE YEAR. She attended North Greenville University on athletic scholarship for volleyball. She received the Christian Athlete Award in both the 2001 and 2002 seasons. She started coaching in District Six in Spartanburg at Dawkins Middle School. Her team won the Peachtree conference championship and went 19-0 during her first season. She then moved to Dorman high school where she was the head JV coach and assisted on Varsity and has been a part of the past two state championships that Dorman High school has won. She is currently grow Upstate Volleyball Club in Anderson, SC where she has followed her husband to Crescent High School. She has been a part of Upstate since its inception as a coach and became a part owner in 2011. Coach Coralita “Coco” Williams is currently the head coach at Blue Ridge High School. She graduated from Blue Ridge High School in 2003. She went to Spartanburg Methodist College and graduated with an Associates Degree in Arts in 2005 and is currently working on her Bachelor’s degree in Special Education at North Greenville University. Coco is the youngest of three girls and the mother of one 4 year old girl. Both of her parents are her guardian angels. At Blue Ridge High School she was a 3 sport varsity letter-man all 4 years. She played volleyball, basketball, and softball. At SMC, she played softball and volleyball. In her spare time she likes to spend time with family, sing and travel. In her four years of coaching she has coached volleyball for BRHS and Upstate Volleyball Club. She loves the game and has a huge passion for being on the court doing what she always dreamed. One of her favorite quotes of coaching is “Coaching is a profession of love. You can’t coach people unless you love them.” “I love each and every one of my athletes. I am living the dream because of them! I give all the glory to God for this opportunity!” Upstate is thrilled to have Coco a part of our coaching staff! Coach Bre Murphy is currently a sophomore at USC Upstate majoring in accounting. She graduated from Dorman High School in 2014, was a 2 year varsity starter as Libero, received 2x All-Region, 2x Best Defense, MVP, All-State, All-Star, All-Area and was on the Under Armour All-American Watch List. Bre also played for Coach Greg at Upstate for 3 years. She went on to play volleyball at Newberry College. Played 3 years of high school volleyball. Player of the year senior year. Played at Emmanuel College as an outside hitter. Coached 2 years at Hillcrest High school with a state runner-up title. Coached 2 years at Spartanburg Christian with a state championship title in 2016 and 2017. He will be coaching one of Upstate’s National level teams. Sydney Allen is a math major attending Converse College on a full academic/athletic scholarship for volleyball. In her freshman year at Converse she was Valkyrie of the Week and was a Conference Carolinas Top Performer. She continues to be a stats leader in the current season. Sydney was a 4-year varsity player at Gaffney High School. In her junior year, she received Defensive MVP and All-Region awards followed by the Eleanor Owens Award for Most Dedicated Player in her senior year. Sydney played club volleyball for 5 years at Upstate Volleyball Club where she was a team co-captain and received the All-Region award for 4 years. Sydney is also a USA Volleyball Official and enjoys refereeing at local tournaments. We are so happy to have Sydney a part of Upstate Volleyball Club.